We spent the night in Philly on Saturday for the Barbra Streisand concert (which was amazing, by the way...), so before we got back on the road to Delaware, we made a quick stop at Loop Yarn! I've been wanting to visit this local yarn shop for quite some time now, so it was nice to finally have the opportunity to check it out. Since I follow the shop on Twitter, I knew that they had the new Brooklyn Tweed Marls in stock, as well as Jared's new book, Woolens. The shop was bright and modern and filled with all sorts of wooly goodness and friendly people. I think I spent a good 30 minutes just walking around petting all of the skeins, which were stacked neatly along the walls in their white cubes. There were a few samples perched around the shop--including the most gorgeous Halligarth Shawl knit in Loft (shown on mannequin above). I was impressed both with the amount of self-control I displayed, and with how patient my dear husband was with my indecisiveness. After much debate, I ended up adopting two skeins of Tosh Vintage in the Optic colorway--a creamy white base dusted with navy- and rust-colored speckles. I'm thinking about working up a cowl or shawl to go with my navy winter peacoat this winter. And of course, I couldn't leave the shop without at least few skeins of the Shelter Marls in Newsprint. While my gut tells me these should be whipped into a brioche scarf, I may want to work up a swatch or two to see how the black and white twist renders in different stitch patterns. If you haven't yet visited Loop, be sure to stop by their shop next time you're in town. You can also check their goods online--be sure to sign up for their Rewards program! Also, follow them on the 'Gram or Twitter for some #knitspiration. 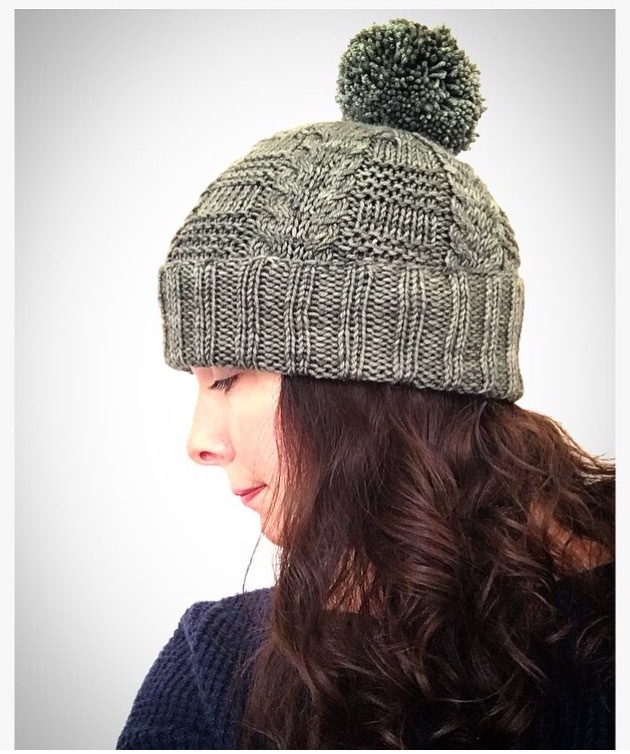 I'm pretty excited to be a part of the test knit team for Alicia Plummer's new hat design! The pattern called for a DK weight yarn, so I knew right away that I wanted to try Swans Island Washable Wool Collection. 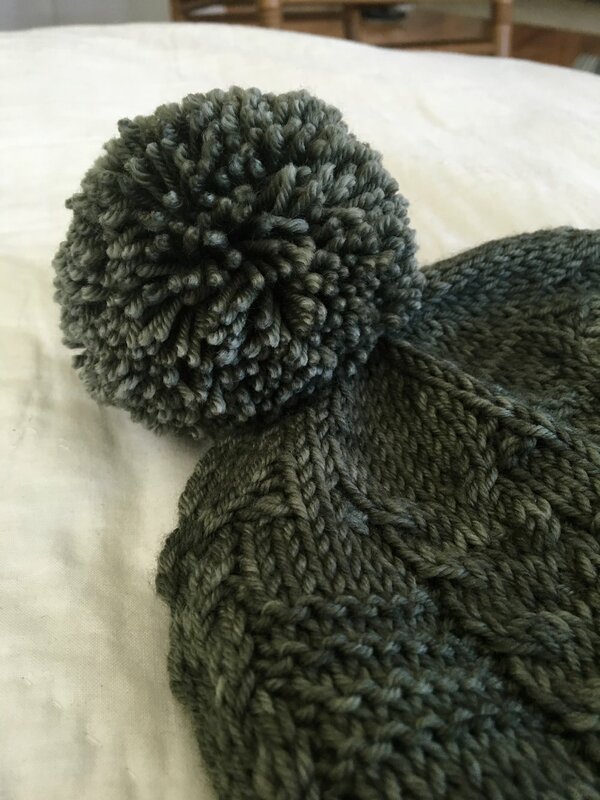 Hand-dyed in small batches in Maine, this 100% organic merino wool is completely machine washable. Unlike traditional superwash yarns, which are stripped through a chemical process and coated with a plastic polymer that prevents felting in the washing machine, Swans Island coats their fibers in a certified organic compound using the Eco-Wash process. 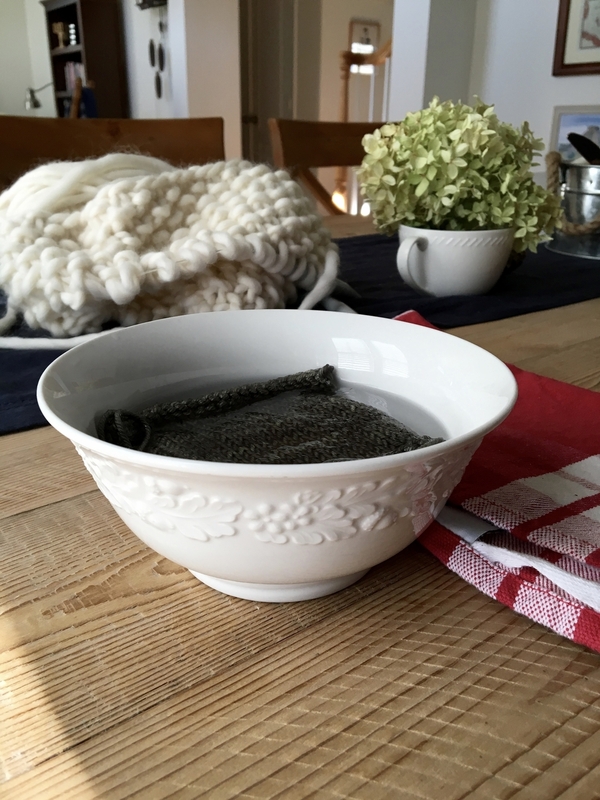 You get the ease of machine-washable wool without the guilty feeling. 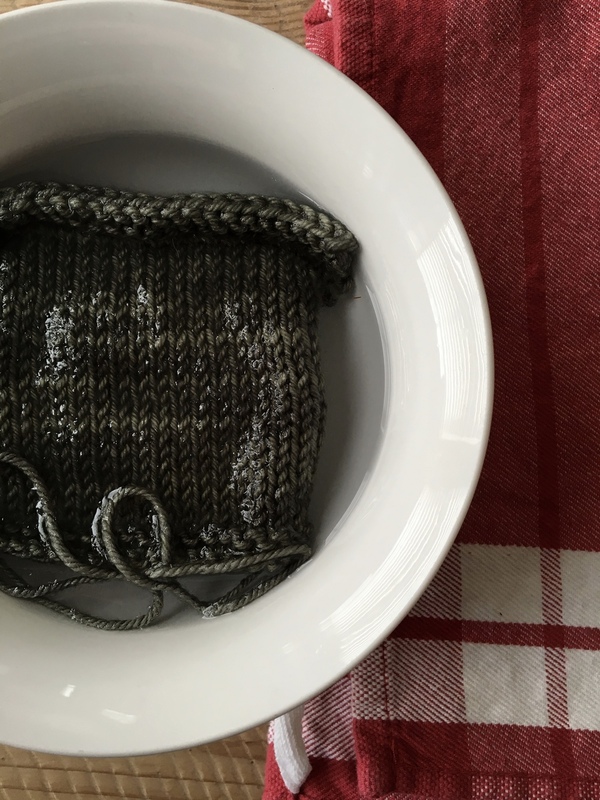 Before my Sunday morning coffee was finished, I knocked out a small swatch in the larger needles, just to make sure I met the pattern gauge, which is 20 stitches x 24 rows = 4" in stockinette. 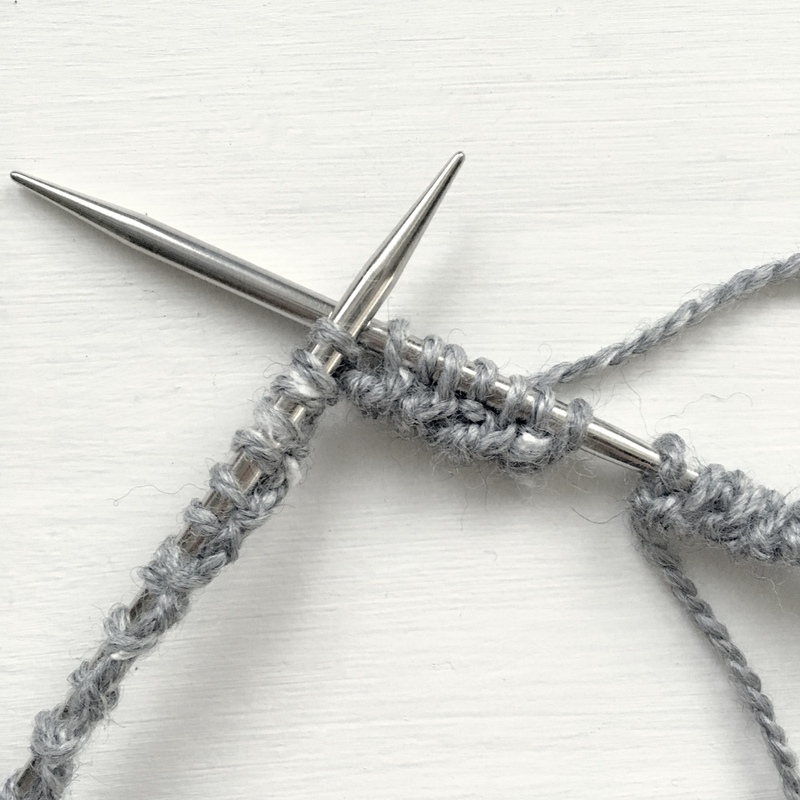 I cast on 24 stitches, and knit the first two rows and the first/last two stitches of each row. This way, I had 20 stitches in between the garter border. 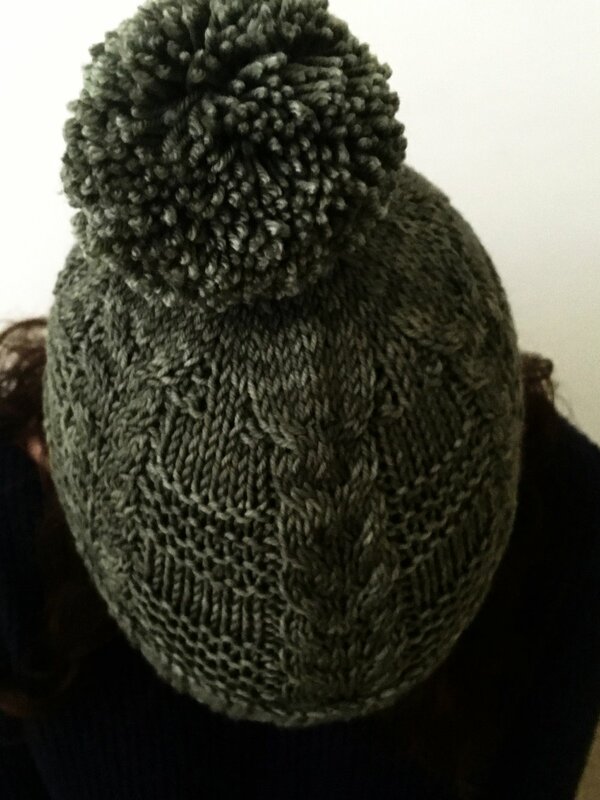 Once I knit 24 rows, I finished off the swatch in a couple of garter rows. This gave me a nice, crisp measurement markers, both row and stitch-wise. 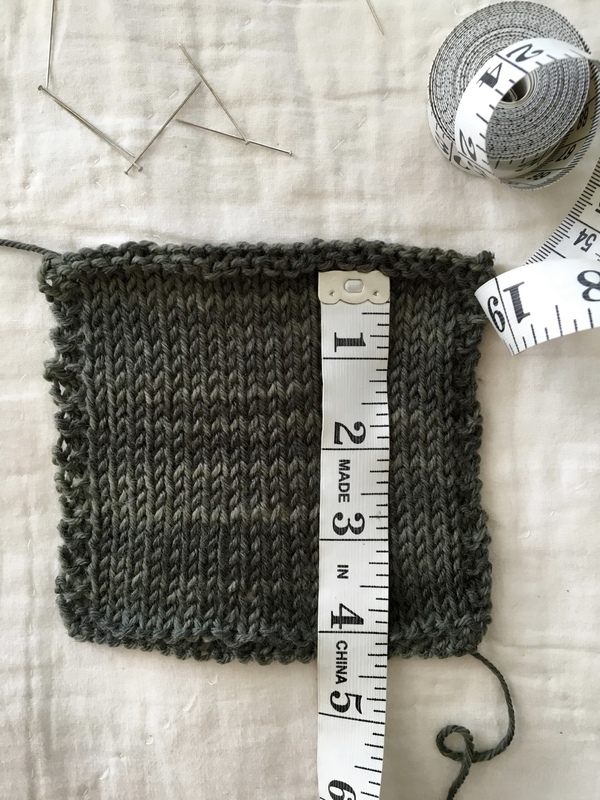 Pre-blocking, my stitch gauge was spot on, however, my row gauge was a little short. Into the bath it went! Pattern gauge was met! The whole process took about half an hour from start to finish, which is pretty awesome considering how much time goes into knitting a piece. It makes me feel confident that the finished garment will fit just right.